Just 96 Hours for Lodging as low as $96! Stay and ski at Heavenly longer! Heavenly Mountain Resort season extended through April 28, 2019, plus 3-day-weekend May 3-5. Take advantage of a longer season with a wide selection of luxury condos, lakefront townhomes, homes directly under the Gondola, and affordable lodging for all your family and friends. We have everything you need to book your perfect winter experience at a great price! Stay at Heavenly's very own Lakeland Village for as low as $96 per night, or explore Zalanta, with luxury two, three and four bedroom residences as low as $196 per night. Also make sure to check out our brand new property, Gondola Vista. Hurry, this offer ends at 11:59 PM MT on March 1st! 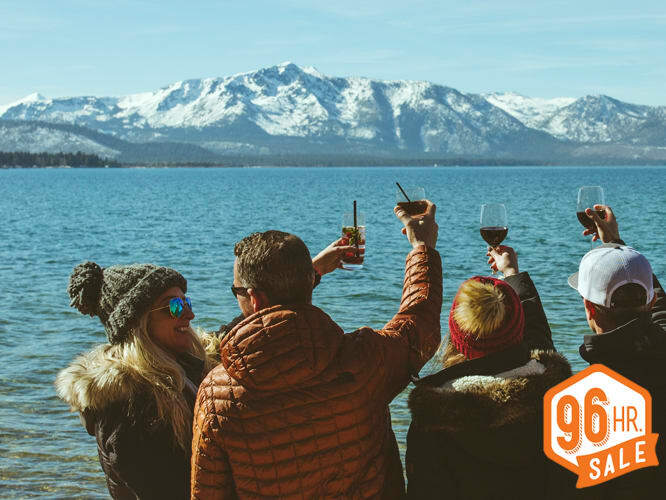 Check out Heavenly's event calendar, then book your lodging during 96 Hour Sale to ensure you don't miss your favorite Heavenly Experiences! Reserve your gear in advance, saving time in the rental shop plus get a discount on the gear rental! Buy online and skip the ticket line! Plus by buying in advance gets you lowest guaranteed price! With so many programs to choose from, it's a piece of cake to find exactly what you're looking for. It's never too early to book your summer Tahoe vacation. Looking for the best rate?